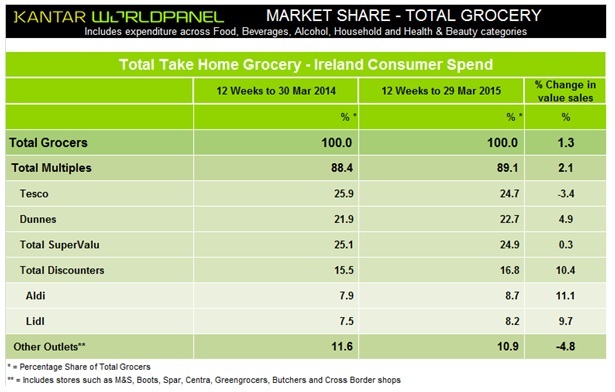 Supervalu is now Ireland’s largest grocery retailer according to the latest figures from Kantar Worldpanel for the 12 weeks ending March 29, 2015. 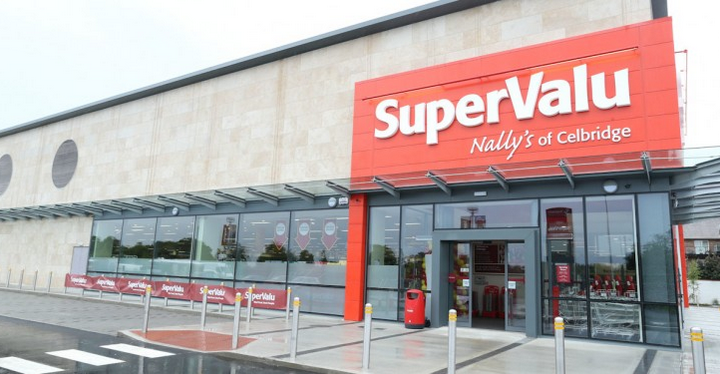 Supervalu now holds 24.9% of the market share, while this is down 0.3% from the same time last year, David Berry, Director at Kantar Worldpanel, said that one of the key milestones in helping Supervalu move to the top of the pile was the acquisition of the Superquinn business in July 2011. “Rebranding the 24 Superquinn stores under the Supervalu banner in February 2014 led to an immediate jump in market share from 20% to 25.1%. “More importantly, Supervalu’s performance within Dublin improved dramatically as its market share more than doubled from 9.5% to 22.2% today,” he said. Tesco’s market share has dipped from 25.9% to 24.7%, according to the figures. Kantar says that Tesco has not lost shoppers since this time last year and its customers are making the same number of shopping trips with increased average basket sizes – the most positive results for these metrics in more than two years. Dunnes has increased its market share by 4.9%, bringing its total share of the market to 22.7%, it says. Kantar says this has been fuelled by larger baskets, with two additional items included in each average trip, and can be linked to the retailer’s ‘Shop and Save’ voucher campaign which incentivised shoppers to spend more on each visit. “The performance of both Aldi and Lidl has remained impressive with sales growth of 11.1% and 9.7% respectively. Aldi has successfully recruited new shoppers to its stores, while Lidl shoppers are returning to the retailer more often,” Kantar says.